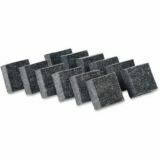 Wedge shaped eraser caps fit standard size pencils. Box of 144. Plush surface removes markings quickly and cleanly. Ideal for use on all dry erase surfaces. Cleans with soap and water for long life. 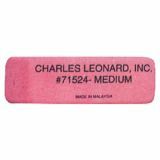 Soft, pliable, rubber erasers consistently produce smudge-free erasures. Erases clearly without crumbling. Large, box of 12. 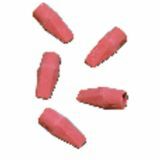 Soft, pliable, rubber erasers consistently produce smudge-free erasures. Erases clearly without crumbling. 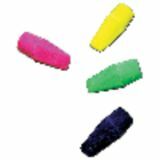 Soft, pliable, rubber erasers consistently produce smudge-free erasures. Erases clearly without crumbling. Small, box of 36. 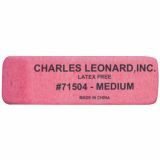 Latex-free, smudge-free erasures every time. 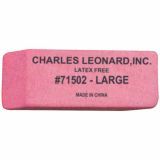 Exceptional quality erasers. Large, box of 12. Latex-free, smudge-free erasures every time. 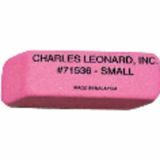 Exceptional quality erasers. Medium, box of 24. 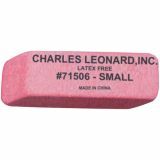 Latex-free, smudge-free erasures every time. 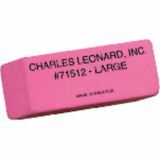 Exceptional quality erasers. Small, box of 36.